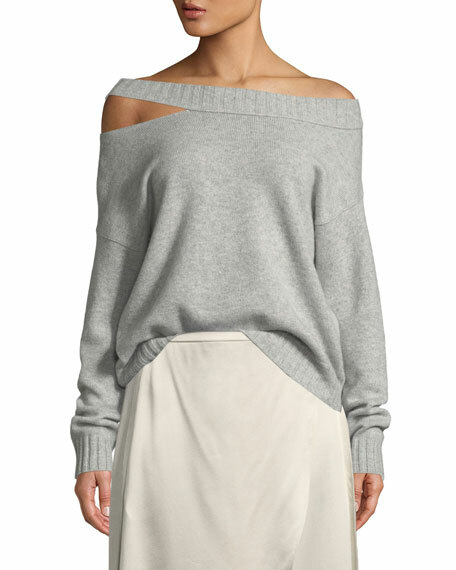 Vince top in wool-cashmere blend. Long sleeves; right shoulder slit. For in-store inquiries, use sku #2591913.